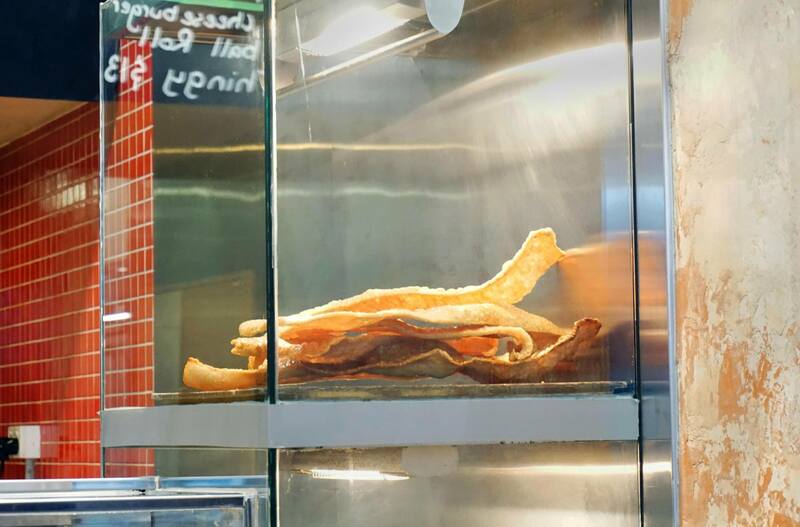 Mr Crackles has been on the to visit list for months ever since we saw pictures of the huge crackling pieces and rolls making the rounds on social media. Unfortunately we just never got around to until now and I have to say we were really missing out on the food here! 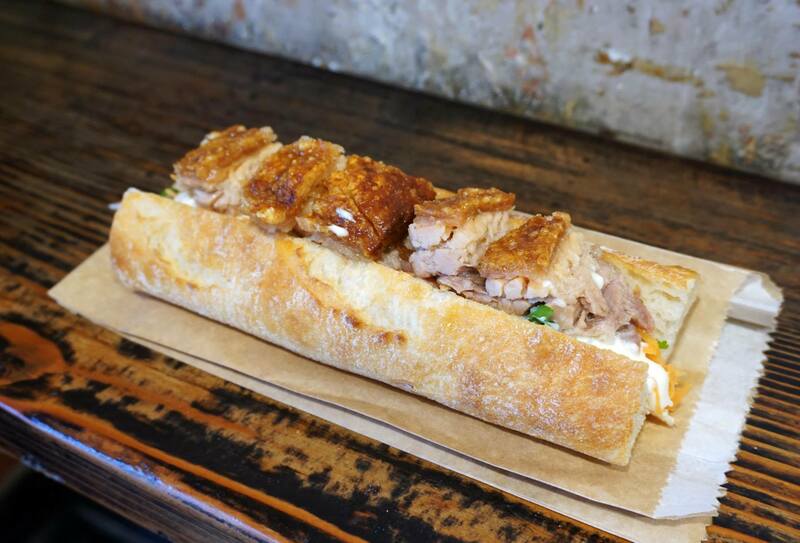 There were 5 pieces of pork crackling sitting in between the bread roll – the look of it made me drool a little, and the thought that the Manwich has double the meat… Needless to say the bread was fresh and crunchy, but when delving into the pork I started to question why it took me this long to visit here. The pork was utterly amazing, juicy and soft while the crackling was so crunchy and crispy. I munched on the pork without worrying how crazy I mightlook while eating, it was simply too delicious. The next guilt-dish was the meat and salad, trying to be healthy when eating more pork crackling was a futile idea. I love the added coriander which brings a distinct taste. 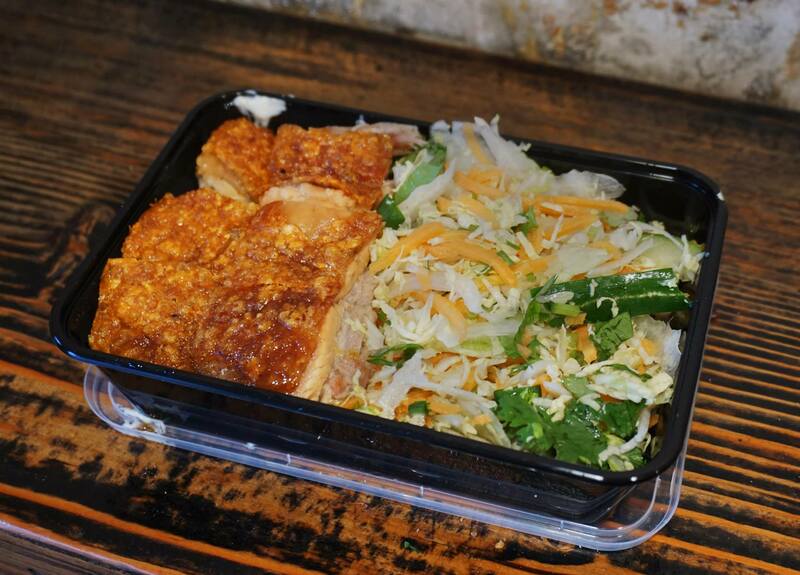 It may seem that theres more salad but the pork is very chunky in size and pretty much identical to the meat in the pork roll, still super crunchy, crispy and juicy. I really need a Mr Crackles near my work! everything heer is amazing, hands down! I can’t believe I still haven’t tried the manwich there… and that the reason for this is that my hubby never feels like having man food!! 🙂 Absolutely must go back! bro this is even better than a fresh winfield blue on a rainy penrith morning! 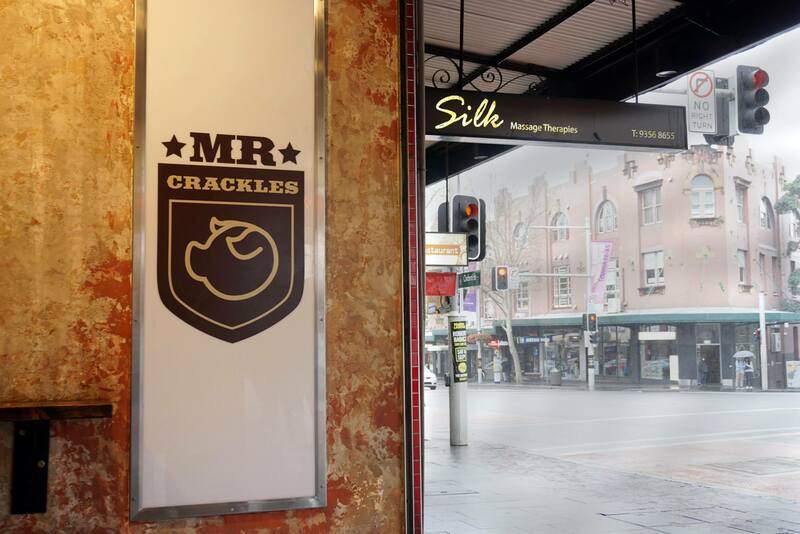 mr crackles is a 7min walk from my office… so dangerous! amazing joint is amazing. you didn’t get the manwich = you haven’t tried Mrcrackles. Go back now. Weeeee, what a quick and easy sootuiln. It is a crime, I haven’t been here yet. The roll looks a little difficult to eat though, was that the case? Not really, a little concerned it would fall apart but it was pretty easy to eat! How awesome is the pork here? So juicy, and then that crackling!